ANGLERS across Ross-shire have just days left to sign up for a charity fishing contest that could see them win £1,000 in vouchers. Fisherman proud to support people living with cancer. 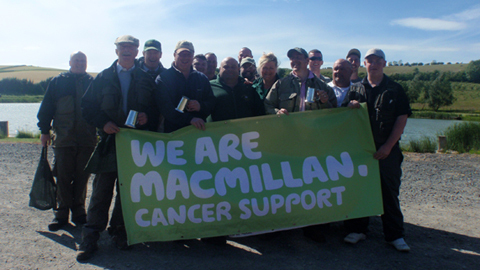 Macmillan Cancer Support wants 20 local anglers to take on its Big Fish challenge at Stoneyfield Lochs Fishery, near Invergordon, on June 11 to help raise over £40,000 to fund its vital cancer services. So far almost 200 people have signed up for the charity fishing contest across Scotland but the charity is hoping around 300 people will take part on the day. Macmillan’s fund raising manager in Ross-shire Shannon Hindmarch said: "We have had lots of interest in the Big Fish this year which is absolutely fantastic, however we are hoping even more people will come along. "It will be a really fun day and all of the money raised will help us provide vital services to people with cancer and their families." The fly-fishing contest will see anglers at each of the 11 venues across Scotland compete to land one of four tagged fish. The differently coloured tags will correspond to either a booby prize or £200, £300, or £500 in vouchers that can be spent on fishing gear at Glasgow Angling Centre. There will also be prizes for the heaviest bag of fish and the biggest fish. The angler who brings along the most sponsorship money on the day of the event will win the prize of a day’s fishing with Scots actor and keen angler Paul Young. All those taking part in the event must raise at least £50 in sponsorship. For more information, or to register, visit www.macmillan.org.uk/thebigfish, email fishing@macmillan.org.uk or call 0800 064 9999.